So You Think You Can Mom? : SUNUVA Swimwear: Fun in the Sun Never Looked This Good! SUNUVA Swimwear: Fun in the Sun Never Looked This Good! "Providing your child with the best sun protection is absolutely essential as children’s skin is thinner, far more sensitive and can be damaged much more easily. Therefore it is imperative that all children should practice safe sun care, wear children’s protective swimwear / clothing and apply plenty of water resistant sun block on exposed areas whilst playing in the sun. Sunuva’s new children’s beachwear range couldn’t have come at a better time - offering stylish UV sun-protective kids clothing and helping you make sure that your kids look great on the beach whilst being safe in the sun. Sunuva’s founders, Emily and Sabrina, who are mums themselves, also strongly recommend keeping your kids out of the sun between twelve and three in the afternoon when the sun is at its harshest." Finally, a brand that gets it! I worry about my children's exposure to sun just as much as the next mother. 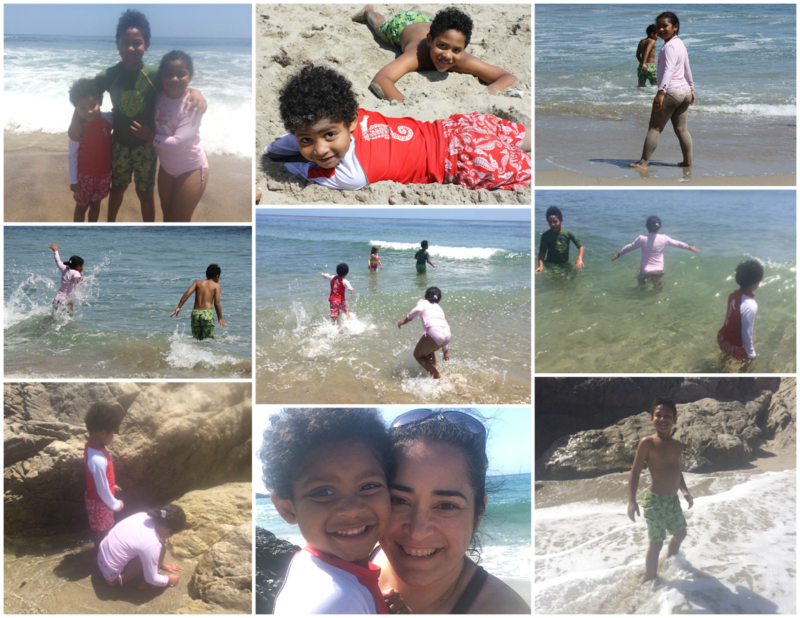 Children's swimwear that provides added protection is a huge plus for this SoCal Mom! My kids were so excited to browse through all of the adorable designs and select the swimwear that they wanted. There are so many styles to choose from! It was not an easy choice, but I think they did great job choosing the cutest prints. They couldn't wait to wear their new swimwear to the beach. I felt good knowing that they had extra protection from the sun's harmful rays and I loved the fact that they were so comfortable in their suits. I have since washed the swimwear numerous times and they are still in great shape. No fading of the colors or the designs! That's a huge surprise for me. Normally, their swimwear starts to look beat up by now. They've been wearing it to the pool and the beach and it all still looks brand new. I will definitely be purchasing new pieces for my kids next Summer! Sunuva 2014 Collection Behind the Scenes from Sunuva on Vimeo. Disclosure: I was not compensated for this post. I was provided sample pieces in order to facilitate my review. These are just my two cents!